Franklin Dewey Richards was an apostle of The Church of Jesus Christ of Latter-day Saints, the Mormon Church. He was the grandfather of Franklin D. Richards, who served as a General Authority in the Church until his death in 1987. Richards was born in Richmond, Berkshire County, Massachusetts, on April 2, 1821, the son of Phineas Richards and Wealthy Dewey. Growing up on a farm, Richards was engaged in heavy labor most days of his youth, but he took every opportunity to gain an education. Before he was ten years old, he had read every book in the Sunday school, comprising some scores of volumes, and when thirteen years old spent a winter at Lenox Academy. Richards' parents were respected in the community and were devout Congregationalists. Richards was offered a position at a New England University to study for the ministry, as he and his family were very devout, but he declined. He was coming up with some unusual ideas about tenets of the Christian faith. In the summer of 1836, Elders Joseph Young and Brigham Young came from Ohio to Richmond as messengers of the gospel of Jesus Christ as restored by Joseph Smith. They left a copy of the Book of Mormon with the Richards family, and it was carefully and intelligently studied. Richards, especially, held it up to special scrutiny. He decided the book was true. Richards left for Missouri in 1838. On the 30th of October, as Richards crossed the Alleghenies, his brother George Spencer was killed at Haun's Mill. Richards also heard about the pogroms occurring in Missouri, but that did not end his desire to continue west. He arrived in Far West and found employment there. In May, 1839, he met the Prophet Joseph Smith for the first time. On April 9, 1840, he was ordained a Seventy by Joseph Young, and was sent on a mission to northern Indiana. He journeyed and preached with great success. He established a branch of the Church in Porter county, and delivered a series of public lectures in Plymouth which attracted much attention. Richards was not yet twenty years old. By 1841 Richards was in Nauvoo, Illinois, for the laying of the cornerstone of the Nauvoo Temple, but then went back to Indiana to renew his mission. He became deathly ill and was cared for by Isaac Snyder. The Snyder Family migrated to Nauvoo and carried Richards with them, but Richards was back out serving as soon as he regained his strength. In 1842, Richards was recovering from an almost-fatal bout with typhoid. Upon his recovery, he married Jane Snyder and remained in Nauvoo until 1844, when he was called on a mission to England. Richards left for England accompanied by Brigham Young and others, but by the time they had reached New England, they received news of the martyrdom of Joseph and Hyrum Smith. The group was called back to Nauvoo. Later, Richards journeyed over 1,000 miles, even covering parts of Michigan, collecting funds for the Church and the temple. He returned with over 500 dollars from the branches of the Saints. His Uncle Willard Richards called him to be a scribe in the office of the Church Historian. He worked as a carpenter on the temple, and then sacrificed the home he had built, as the Saints were driven out of Nauvoo by mobs. By then his wife was an invalid, and they had a baby girl. Their resources were meager, but they managed to procure a wagon and supplies for the trip. He then sent them west in God's care, while he set out for his mission to England, accompanied by his younger brother, Samuel. They sailed from New York in September of 1846, along with Parley P. Pratt and others. He soon received word that his wife had delivered a son, who died, and that his wife lay near death. Orson Hyde was just departing, and was supposed to be replaced by Orson Spencer. There was a false report of Orson Spencer's death, so Richards took over all the duties of Orson Hyde. Richard fulfilled these duties until February, 1848, and then took command of a large group of British Latter-day Saints who were emigrating to the Rocky Mountains in America. At about that time, Richards got word that Wealthy, his little girl, had died. His wife had survived, but she was bereft and alone. He also got word that his brother, Joseph William Richards, had died while marching with the Mormon Battalion. Richards arrived in Winter Quarters, Nebraska, where his wife was staying, in May, 1848. Hundreds had died there, ignored by surrounding citizens and the U.S. government. Richards went to Iowa to obtain cattle to bring along on the drive west, and the Richards party left Winter Quarters at the beginning of July. Richards acted as captain over 50 wagons. His wife seemed like she would pass away during the trip, but she made it alive to the Rockies, and the group entered Salt Lake Valley on October 19, 1848. Before winter, Richards was able to construct a small adobe house, without a roof or floor. Jane continued on in acceptable health, and brought more children in to the world. Richards was ordained an apostle of the Church on February 12th, 1849. Richards immediately became associated with the other leading minds of the community in the provisional government of Deseret in general legislative and ecclesiastical work, and the labors of creating a Perpetual Emigration Fund. Then in October, he left again for the British Isles. He was accompanied this time by John Taylor, Lorenzo Snow, and Erastus Snow. Elder Taylor was on his way to France, Lorenzo and Erastus Snow were destined for Italy and Scandinavia, and Franklin was to officiate once more in the British Mission. They met many obstacles on their way east, but were heading for very successful missions. Richards relieved Orson Pratt in England, then Orson Pratt relieved him, and vice-versa, during which time, the Perpetual Immigration Fund helped move British Saints to the Rockies. Richards also expanded the hymn book and had 25,000 copies printed. He also expanded the work of printing the scriptures of the Church for the use of the British Saints, and printed the Millennial Star more often. Richards organized new branches to accommodate the 16,000 converts won during his ministry. He also organized conferences and meetings. The brethren were studying various routes to the U.S., and under Richards' advice settled upon the plan of voyage between Liverpool and Castle Garden, to New York, then by railroad as far as possible toward the Rockies. It was the favored route for the next fifty years. Richards himself sailed from Liverpool for New York May 8, 1852, and arrived safely in Salt Lake City Aug. 20th. In 1853, Richards participated in laying the cornerstone and dedicating the grounds of the Salt Lake Temple. By June 4, 1854, he was back in England. Once there, he presided over all the church affairs in Europe. He established the German Mission in Dresden, and traveled constantly in western Europe, even overseeing church affairs in the East Indies, Africa, Australia, and New Zealand. He returned home in October, 1856, and again became a member of the Utah legislature, and then a regent of the University of Deseret. On Monday, April 20, 1857, he was elected and commissioned brigadier-general of the second brigade of infantry of the Nauvoo Legion. In spite of repeated bouts of illness, Richards never sat still. In Utah he was involved in ecclesiastical, political, legislative, military and educational works. In 1866 he was back in Europe. In July 1867 he was named president of the European mission, which include Scandinavia. The following year over 3400 converts were won in England alone, and most emigrated to Utah. He returned to Utah and immediately assumed positions of leadership. 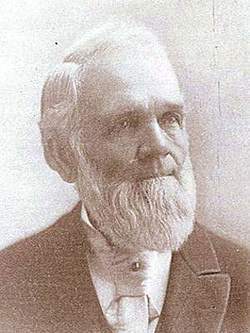 He was elected probate judge of Weber county on February 19, 1869. In May he established his family residence in Ogden, Utah. He established a newspaper, instigated movements to improve the education of the youth, and created other programs to convey knowledge and culture to the coming generation. He was probate and county judge of Weber county continuously from March 1, 1869, until Sept. 25, 1883. His justice and humanity, united with keen legal sense, made his name proverbial. This was an unpaid position, but Richards also had business interests. After the death of Brigham Young, and especially since his own retirement from political life, Richards was entirely immersed in the councils and labors of the Church. In April 1889, Elder Richards was sustained as Church Historian and general Church Recorder, having previously acted as assistant historian for many years. In 1898 Lorenzo Snow became prophet and president of the Church and Richards became president of the Quorum of the Twelve Apostles. He occupied that position until his death. Richards suffered a series of strokes and passed quietly away at his home in Ogden, Utah, December 9, 1899. This page was last edited on 19 December 2013, at 11:19.